Present state: The station has been demolished. The line running through one platform is still in use. Bonita Mews runs through the site of the second platform. Two brick gate posts adjacent to the bridge over Gibbon Road might be an entrance to the station. The blocked station subway beneath the line still exists close to Gibbon Road. Notes: The Crystal Palace and South London Junction Railway from Canterbury Road Junction, near Brixton to Crystal Palace (High Level) was opened by the London, Chatham and Dover Railway (LCDR) on 1 August 1865, to take passengers to the Crystal Palace. Train services on the Crystal Palace High Level line ceased in 1917–1919 and 1944-1946 for wartime economies. 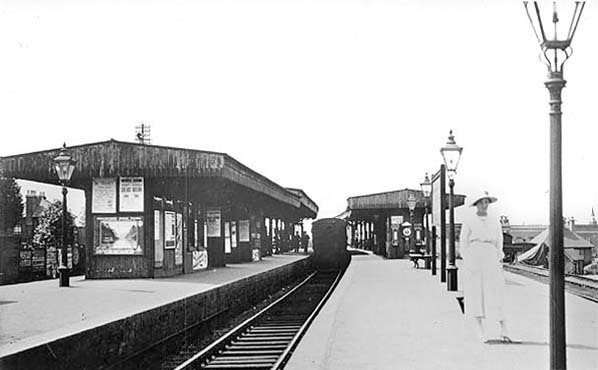 The line closed to all traffic on 20 September 1954. The Greenwich Park branch opened 1871 as far Blackheath Hill, with the final stretch opening in 1888. It closed on 1 January 1917 for wartime economies. The Catford Loop line opened on 1 July 1892, giving a second route out of London for the LCDR, and Nunhead became a three-way junction. 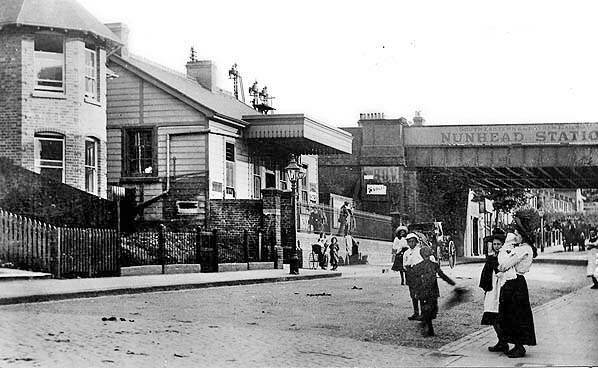 In 1925 the lines were electrified, and a new station at Nunhead was built on the London side of the original site. In 1929 the Greenwich Park branch was reopened as far as the site of Lewisham Road where a new connecting line to Lewisham enabled cross-London freight trains to be re-routed to Hither Green. The line was electrified in 1935 for peak hour passenger trains. There is now frequent service of passenger trains. Looking north from the north end of Ivydale Road over Nunhead station towards Telegraph Hill in Deptford c1905. 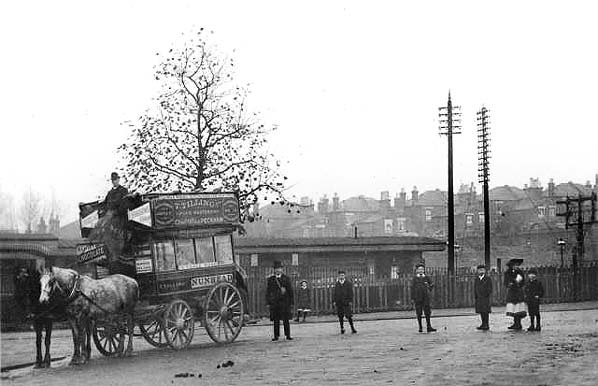 Horse buses were reaching the end of their effective life by 1900. From 1870 they had been superceded in volume, comfort and speed by horse trams and this service in turn was soon to be electrified. Thomas Tilling, who had his office and depot in Peckham, was one of the main bus operators in London and still exists today as a coach operator. 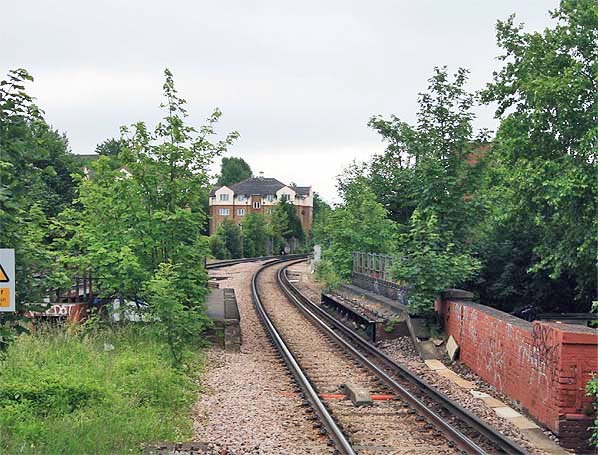 Nunhead station is seen from the Greenwich Park branch, which at the time remained in use for access to the ex-GNR coal depot at Brockley Lane. 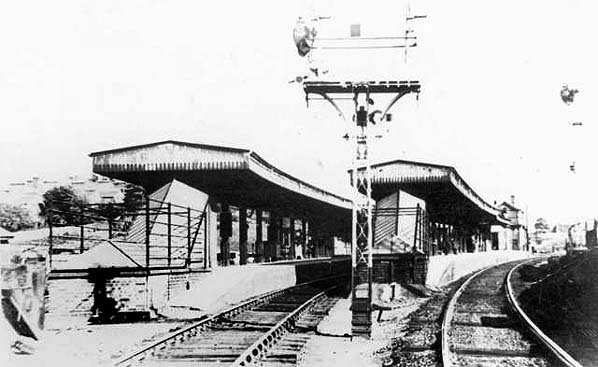 The presence of the electrical sub-station (left) and new passenger station (in the distance), but the old LC&DR signal box, suggest that the photo was taken in 1925 when electric trains commenced operation, initially just between Nunhead and Crystal Palace HL. I have been unable to check the precise date that a new SR-built signal box replaced the old ex-LC&DR one, but it was certainly no later than 1929 and may well have followed rebuilding of the station in 1925. 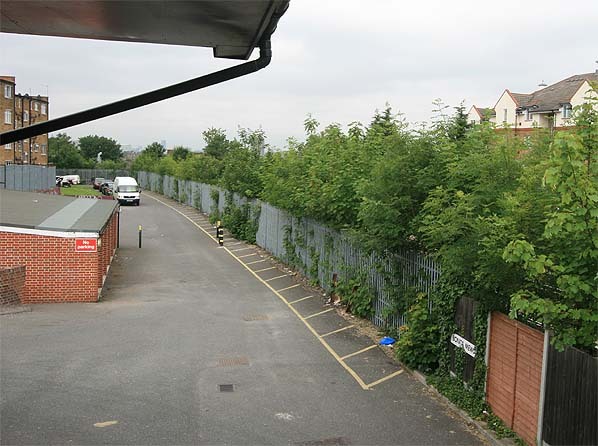 Looking east towards the site of the first Nunhead Station in June 2006. 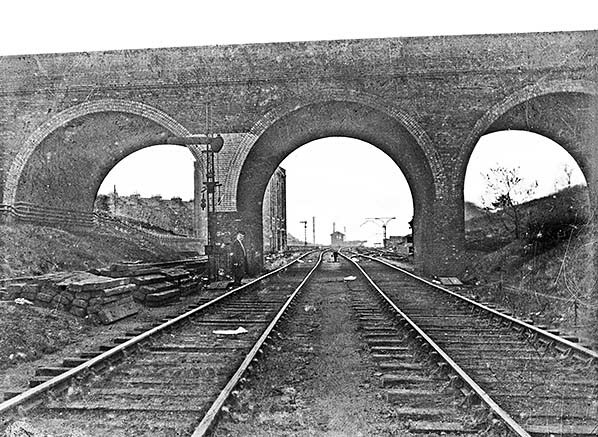 The station was sited beyond the bridge where the line comes out of the curve. Seen from the second Nunhead Station. Looking west at the site of Nunhead Station in June 2007. One platform was sited where the road now runs, the other platform was behind the fence on the right. 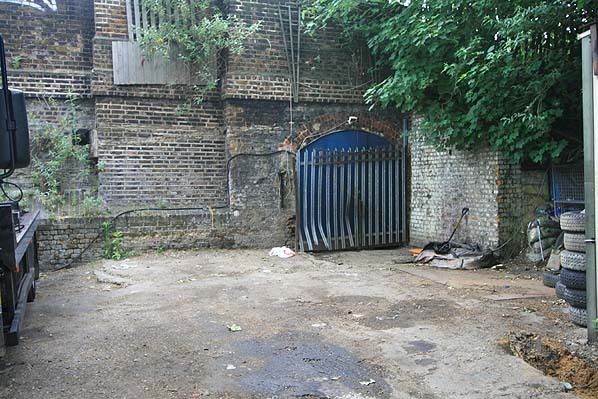 entrance to Nunhead Station (June 2007). Although the booking office was on the other side of the bridge, there was anb entrance on this side as shown on the map above. 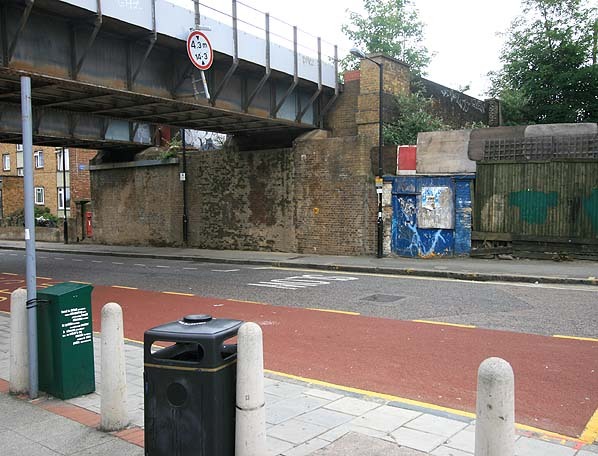 There is a blocked subway under the road at the west end of Nunhead station (June 2007). The subway is shown on the map above.